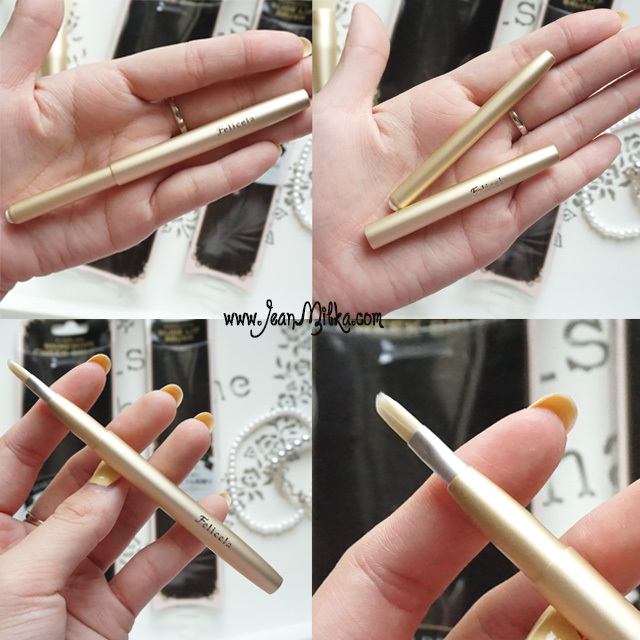 Today I want to review the softest makeup brush I’ve ever come across; Felicela Brush. Despite its distinctive features, Felicela is regretfully not that popular amongst most make-up addicts. Frankly speaking, up until a couple of weeks ago, I was totally unaware of this particular brand’s existence. I did however, took notice of these beautiful white bristle brushes that were being displayed on Ayou Beauty’s counter at Seibu, Grand Indonesia, when I was out strolling around that particular mall a little while back. Then again, I had no reason to add more makeup brushes onto my personal collection at that time, so I decided to pass on it. As fate would have it though, not long after my last visit, Ayou Beauty reached out to me and offered me two of their signature makeup brushes for free *here they are*. What can I say? 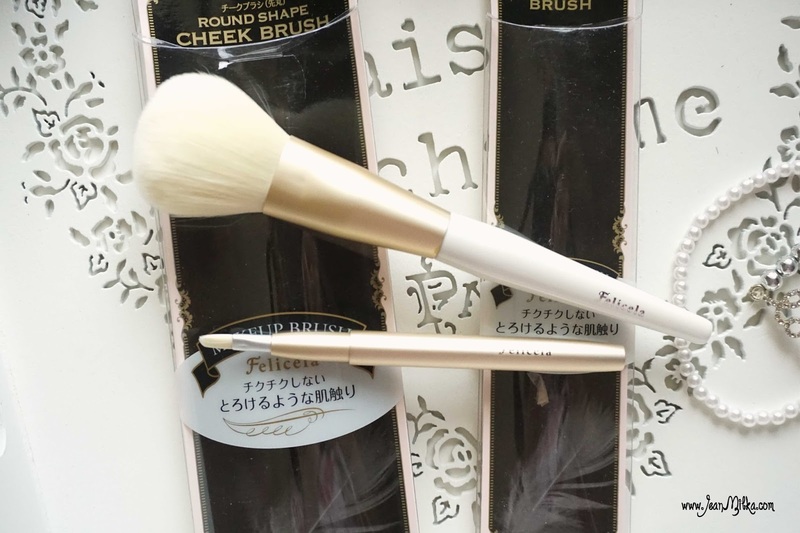 I’m so happy to have received two Felicela brushes, especially the cheek brush. The PR Officer of Ayou Beauty told me that Felicela brush manufactured by the same company who manufactures Channel brush *if my memory serves me right*. So basically, in hindsight, Felicela brush is a luxurious imitation of Channel's soft bristle brush. Colorwise, The brush itself is painted in white and gold with its signature white bristle dangling at the top. The first thing I noticed about this product was the packaging. 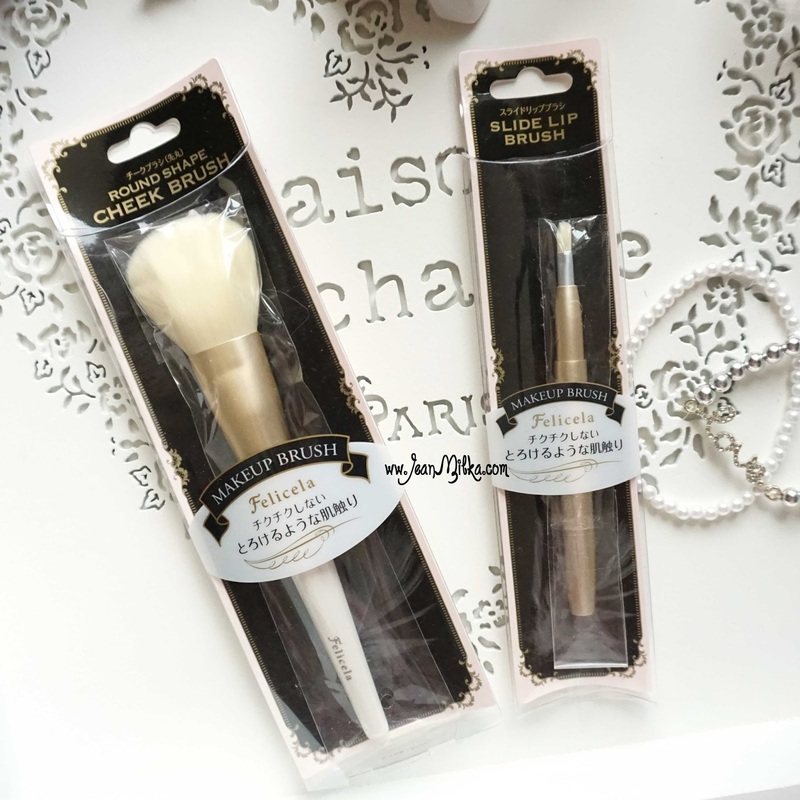 The packaging is quite intricate and girly, as opposed to the design of the brush itself which has a more simple and elegant feel to it. You can find the silver "Felicela" brand name embossed on the handle of each brush. The first brush that I got is the Felicela Round Shape Cheek Brush. 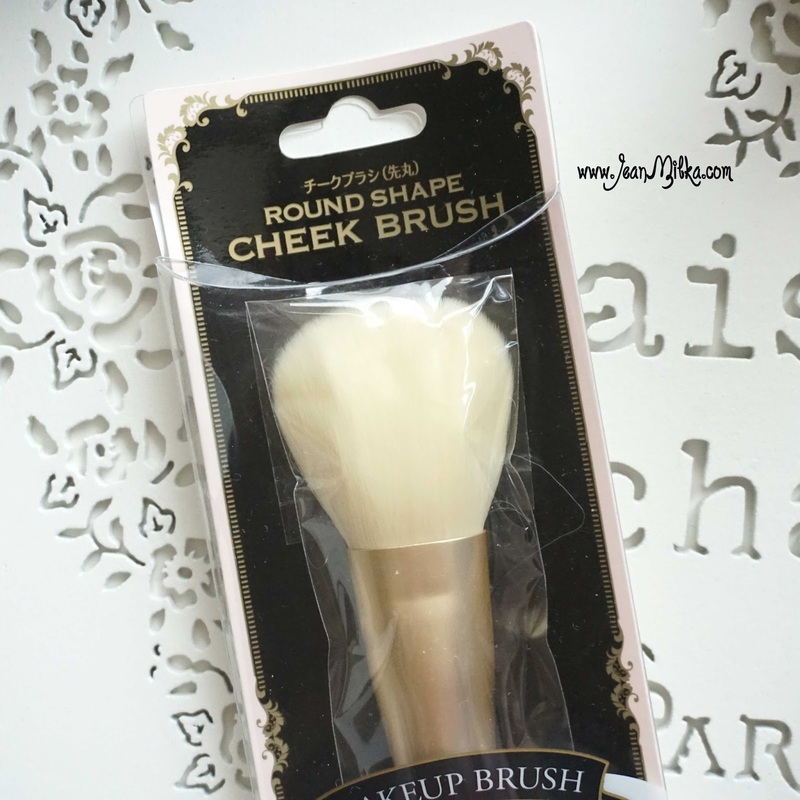 The cheek brush is round tip brush that have perfect size for applying blushes. Like I told you before it's very soft and more importantly, it is capable of taking just enough product. 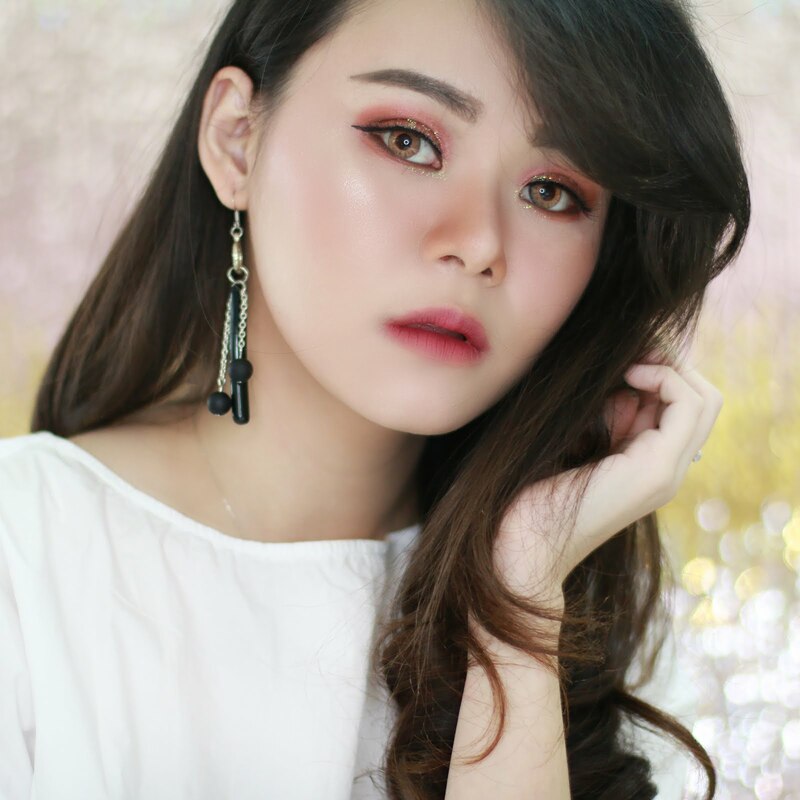 This kind of brush is most suitable for taking in pigmented or bold blush shades, so you won't end up taking too much product that can cause too much blush on your cheek. One thing I love about the white bristle is, it tells you when you need to wash it. When you take the blushes using Felicela's Round Cheeck brush, it will tint your brush tip to pink or peach *depending on the blush shade*. It will change the white bristle to pink/white bristle which I find amusing. After you have used the brush a couple of times, the tip will gradually turn pink which means you need to wash it. Note : My brush turned to peachy pink since most of my blushes is peachy pink. 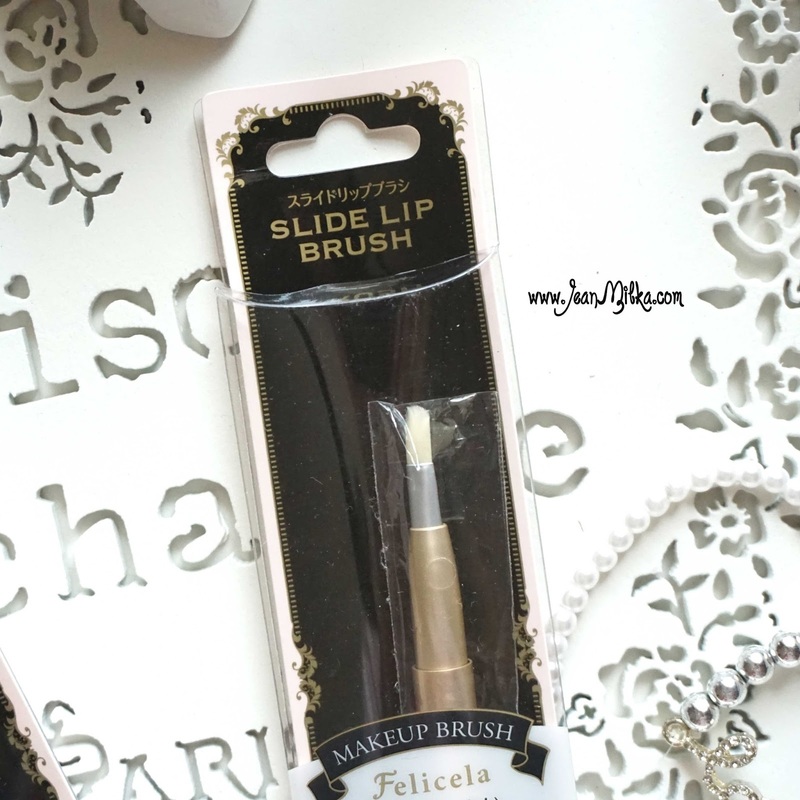 The second brush I received is Felicela's Slide Lip Brush. I rarely use a lip brush so I can't really tell the difference between this brush and other lip brushes. But I like the fact that it's a slide lip brush which means you can take the top cap off, place it on the bottom of the brush, and the cap will push the brush out. After you are done using this particular brush, all you need to do is simply remove the cap from the bottom of the handle, and the brush will retreat into the handle's hidden compartment. The size of this brush is much smaller when compared to the palm of my hands, which is a good size to put inside your makeup pouch, for touch up during the day. The only down side is that you might need to regularly spot clean this brush so it won't messed up inside the compartment. I have been using this brush for more than a month now, especially the blush brush. The brush is very soft and it have thin bristle. It's kinda hard to wash this Felicela brushes cause of the thin bristle. It takes almost 12 hours for you to dry the bristle completely. In addition, because the bristle is extremely thin, sometimes there are couple of bristle strands that falls out of the shape even though I always cover the cheek brush with the plastic brush cover that comes with the brush. Readers : Have you ever tried any brushes from Felicela Brush collection? what is your favorite? and what do you think about them? 5 komentar on "Felicela Brush by Ayou Beauty"
yeah... agree with you... the color combination is so adorable..
Great brushes! Awesome for make up!